2 New England Historical and Genealogical Register, (New England Historic and Genealogical Society), 1982, Vol. 136, p. 99. 3 U.S., Sons of the American Revolution Membership Applications, 1889-1970, SAR #77193, Application for Chester Harmon Allen, Ancestry.com (Online Database). 4 Allen, Willard S., A Genealogy of Samuel Allen, of Windsor, Ct. and Some of His Descendants, Boston: David Clapp and Son, Printers (1876), 6, Internet Archive (Digital Library). 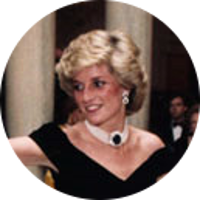 6 Evans, Richard K., The Ancestry of Diana, Princess of Wales , Boston: New England Historic Genealogical Society (2007), 145.